Here's the sixth webisode of the Behind The Scenes series I've been shooting/editing at TANDEM in support of Daniel Greaves' Mr. Plastimime project. In this episode, after a discussion with the director, we see how animator Steve Edge creates a scene in stop-motion animation. Here's another episode in the Simon Draws series of online videos I put together for Simon's Cat Ltd. In this lesson, the inimitable Mr.Simon Tofield shows us how to draw Tabby cats. Last Friday I had a somewhat interesting day out! 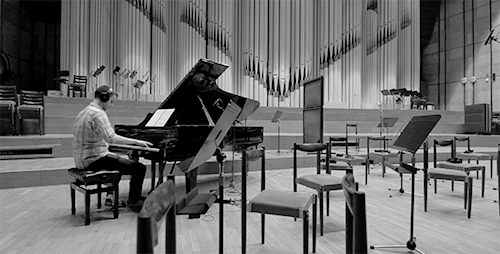 I was invited by Daniel Greaves (TANDEM films) to accompany him on a trip to Slovakia to record the score for his new short film Mr. Plastimime. 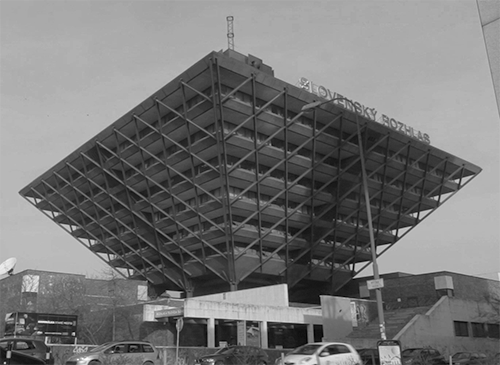 The Bratislava Radio building is an immense up-turned pyramid building of early '80s vintage. It's a daring futuristic design and I really love it. Inside, there are miles of gloomy 'widescreen' corridors with concrete panelling everywhere. The auditorium was especially impressive, with an immense pipe organ taking up the entire wall behind the stage. 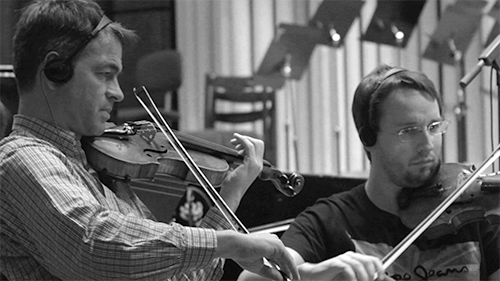 Dan was there to supervise the recording of his film's score as composed by Mike MacLennan (Mcasso music). Mike Connaris (composer and MD of Mcasso who wrote the closing song used in the film) also attended the session. 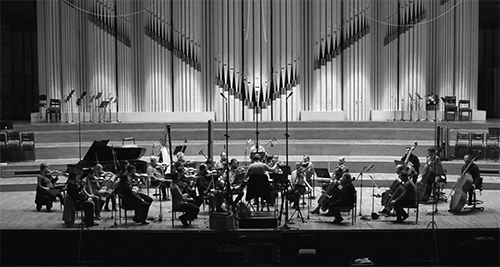 The mighty Bratislava Symphony Orchestra was conducted by Musical Director David Hernando Rico. The Bratislava Symphony Orchestra in full effect. My role was to document the occasion and make another Behind The Scenes video; the seventh episode in the Making Mr.Plastimime series of videos I've been making over the last year or so. The incredible musicians of the BSO at the recording session. I wanted to travel light (Ryan Air cabin luggage only!) and be able to move around stealthily, so I took a small bag with my Canon 600D DSLR camera, 3 lenses (11-16mm wide zoom, 30mm and 50mm) , Rode Video Mic Pro microphone and a Tascam DR-07 mkII audio recorder. I also took a Manfrotto monopod, with a small pan/tilt head and some additional monopod legs too. 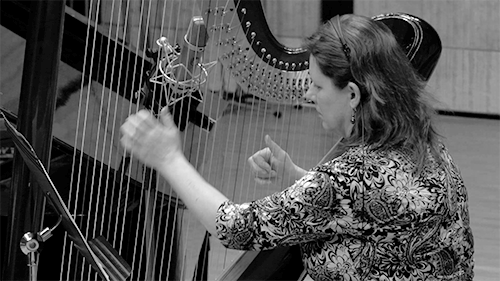 I'm editing the orchestra footage this week and I think this is going to be a good episode and quite a bit longer than the previous ones. I hope I will eventually be able to share this new film at a later date , but in the meantime here I'm sharing a few stills from the session. Most of the previous videos I've made in this series are now publicly available online on TANDEM's Vimeo page. Here are the first 6 episodes of the Making Mr. Plastimime series. So it was an honour to be invited by Jayne Pilling (who tirelessly puts the whole BAA thing together) to create one of the prizes for this year's 2014 BAA awards. At each ceremony, the prizes are always hand-made artworks created by animators selected by Jayne and her team from previous winners and finalists. On the big night, the prize-winners each receive one of these unique awards rather than the usual plaque or statuette one might expect. The brief for the design of the prizes is 'create some kind of artwork that alludes to Britishness, animation and ... sheep'. 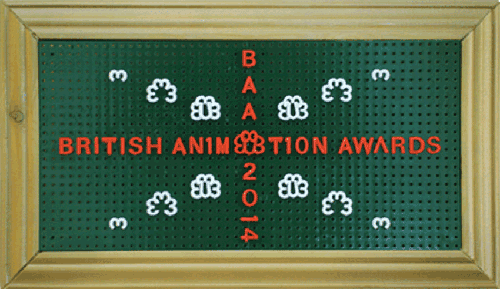 Sheep, because the acronym of British Animation Awards is of course ... BAA.